For many, the name Don McCullin is synonymous with the searing depictions of conflict captured by the lauded British photographer – in Vietnam and Cambodia, Biafra and Bangladesh, Northern Ireland, Beirut and beyond – over the course of his 60-year career. A soldier hurling a grenade with all the strength and poise of an ancient discus thrower in Hue; a starving albino child in Biafra, his limbs so skeletal as to cause a visceral lurch in the pit of your stomach; a refugee mother from east Pakistan calmly clutching her sobbing baby to her cheek at the Indian border, her eyes directed right at you, seeing through you. These are the images that McCullin risked life and limb to document, and which, between 1966 and 1984 during his tenure as a correspondent for The Sunday Times, were delivered to the heartily stocked breakfast tables of Britain’s middle classes – a vital portal to the unimaginable brutality and bloodshed occurring overseas. It is no wonder then that McCullin, the first living image-maker to be honoured with a solo show at the Tate Britain, is frequently referred to as a “war photographer”. This is a term that he himself shuns, however, and which the newly opened retrospective seeks to contextualise. “McCullin hates being called a war photographer – he feels that it’s the equivalent of being termed an abattoir worker, and prefers to see himself as a photographer who has devoted much of his life to documenting war,” explains Aïcha Mehrez, assistant curator of contemporary British art. 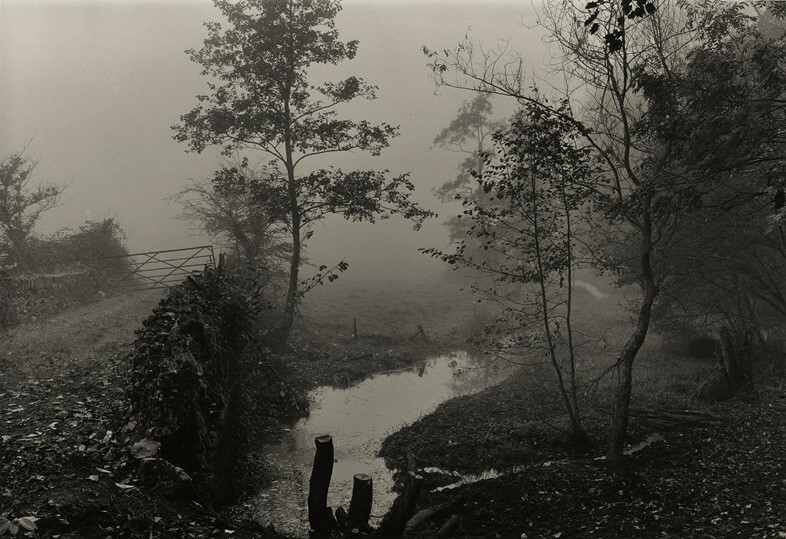 In order to demonstrate “the scope of McCullin’s career”, Mehrez tells us, the show is organised chronologically, and intersperses the 83-year-old photographer’s various assignments abroad with his ongoing forays into British documentary photography – the two genres that have most preoccupied him throughout his life. “In the first room, you see the first professional image McCullin took in 1958,” says Mehrez. 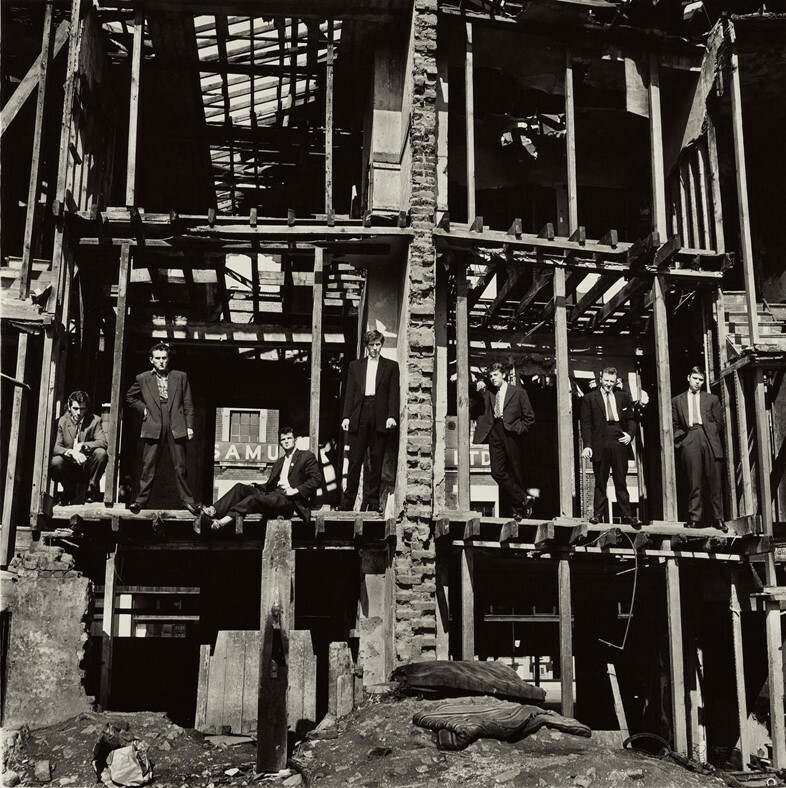 She is referring to the now-iconic shot The Guvnors in their Sunday Suits, depicting an infamous London gang, suited and booted amongst the remains of a dilapidated building in Finsbury Park, where McCullin himself was born and raised. McCullin, then just 23, sold this picture to The Observer, alerting the UK press to his remarkable talent and never looking back. “What’s interesting is that by the time he took this picture, Don had already experienced a lot of violence and upheaval,” Mehrez tells us. “He had been evacuated three times in his childhood; he’d been the main breadwinner for his family since the age of 15, when his father died, and he’d already spent two years serving in the RAF. So by then he'd already cultivated the intense emotional awareness and enormous capacity for empathy that would go on to define his work.” Indeed, what makes McCullin’s predominantly monochrome oeuvre so extraordinary – whether he’s turning his lens to a shell-shocked marine in the throes of battle, two young boys in a Bradford park or dramatic scenes of disarray on the streets of Londonderry during ‘The Troubles’ – is not merely the artfulness of composition or the inherent sense of timing it boasts, but the sheer compassion and commonality it encapsulates. Yet not all of McCullin’s work centres on the cruelty and suffering he has borne witness to over the decades. 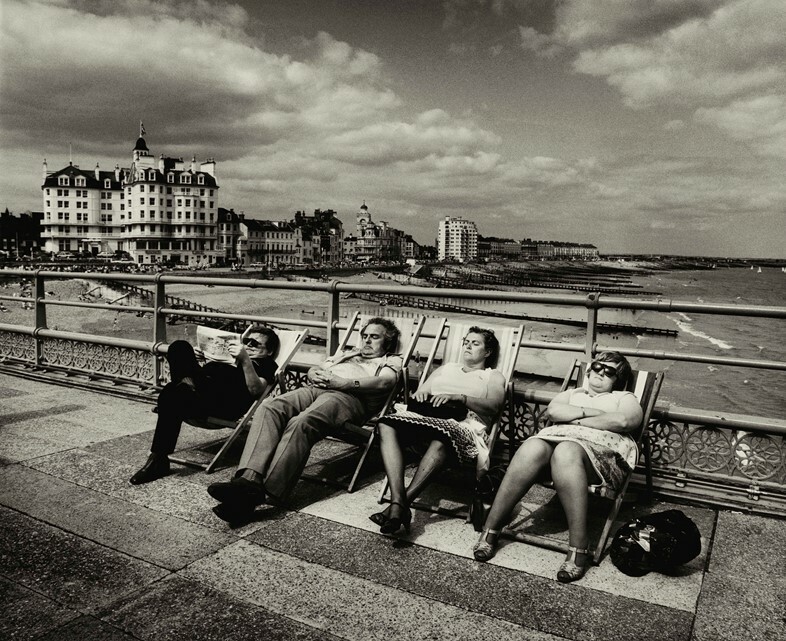 In his archive there are a number of wonderful observations of what Mehrez terms “the humour, eccentricity and resilience of British people” – look no further than his magnificent shot of four staunchly serious sunbathers, perched purposefully in deckchairs on a seaside pier in Eastbourne. Similarly, he has increasingly turned to still life and landscape photography in recent years, lovingly documenting ensembles of homegrown mushrooms and plums, and bronzes collected on his global travels, as well as the undulating fields of Somerset (where he now resides), Scotland and Northumberland. Although, as Mehrez points out, these are nevertheless imbued with a sense of foreboding somehow – “some of his pictures of the Somerset plains are quite hard to differentiate from the ones he took of the Somme battlefields; you can almost hear the hum of helicopters overhead” – and his eyes are always open to social injustice (like the fact that many of these open stretches are the result of multiple dairy farms closures). A collaboration with Alexander McQueen – following the designer’s illicit printing of McCullin’s war photography on his A/W96 Dante collection – has seen McCullin’s photography permeate the world of fashion too, and he continues to photograph Sarah Burton’s collections for McQueen. 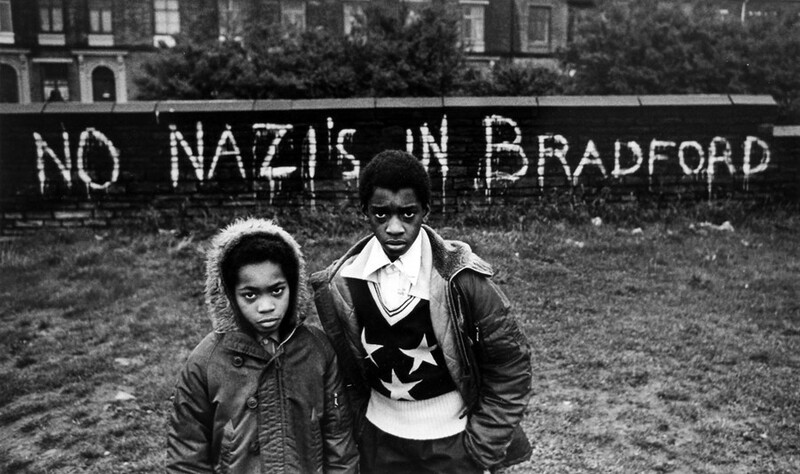 Don McCullin is at Tate Britain until May 6, 2019.